||||| BUENO POWER |||||: SO I BOUGHT THIS. AND I ACTUALLY LIKE IT. SO I BOUGHT THIS. AND I ACTUALLY LIKE IT. A couple of weeks ago I had a talk with my wife about getting hired to take pictures for other people rather than be self indulgent and photograph for myself all the time. I mean... I shouldn't really care about taking pictures for others, but I think I need to get back into the fold and start getting paid for it. But I couldn't just get any kind of camera. I had owned a DSLR for the longest time and after awhile I hated it. So I got the Fuji x100t. To be honest this is the first time I was happy about a digital camera. It shoots like my Canon 7 and adds some additions that many digital cameras aspire to be. The viewfinder selections are excellent. I use all three viewfinders to help me focus better on the subject I'm photographing. Not only that the ability to customize your button selects are key. It has other features like certain film presets you can use and video mode, but I don't really need. It. 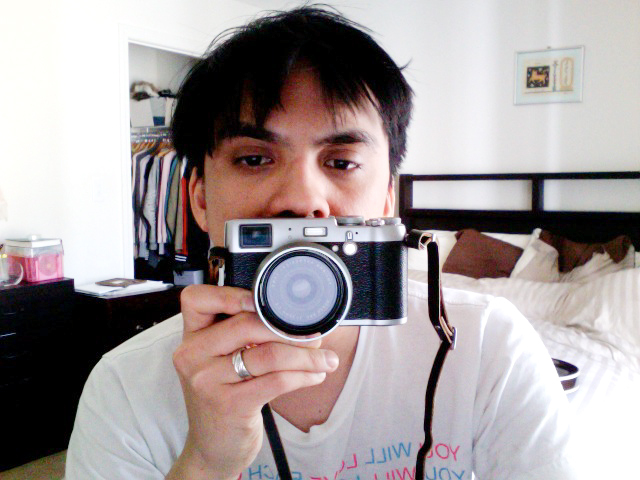 I'll be shooting with this camera as much as I can as I am still locked into photographing certain projects on film. I'm not sure if I want to present these images anytime soon as I am still getting used to it. That's another thing that I've been on the fence about. Earlier this year I had made the promise to present "Polaroids". I have also mentioned I wanted to shoot more black and white with the Pentax Auto 110. To be honest it hasn't even been developed. And here is this digital camera that I have. I've shot a bit with it and the results have been absolutely amazing, but I'm hesitant to even showing anyone this stuff. So, for the next few weeks I will be debating on this idea. We'll just have to see how I feel.